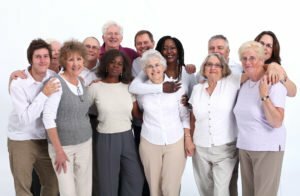 Adult Day Care: For seniors who are well enough, an adult day care center can provide family caregivers with needed breaks during the day or week, while providing seniors with a chance to socialize and to spend some time outside the home as well. Local Agency on Aging: Contact your local Agency on Aging for more caregiving resources available in your area. Additionally, local home care agencies like Hired Hands Homecare are available with expert caregivers to provide respite care services whenever the need arises. Contact the top providers of Napa home care at Hired Hands Homecare by calling (866) 940-4343. We offer a full range of in-home care services, such as planning and preparing meals, light housework, grocery shopping and running other errands, transportation, companionship, and so much more. Let us know how we can help you and your senior loved one improve quality of life! See our full service area in California.